PassQuestion provides real and valid exam questions and answers, which ensure that you can pass your certification exam with 100% passing guarantee. 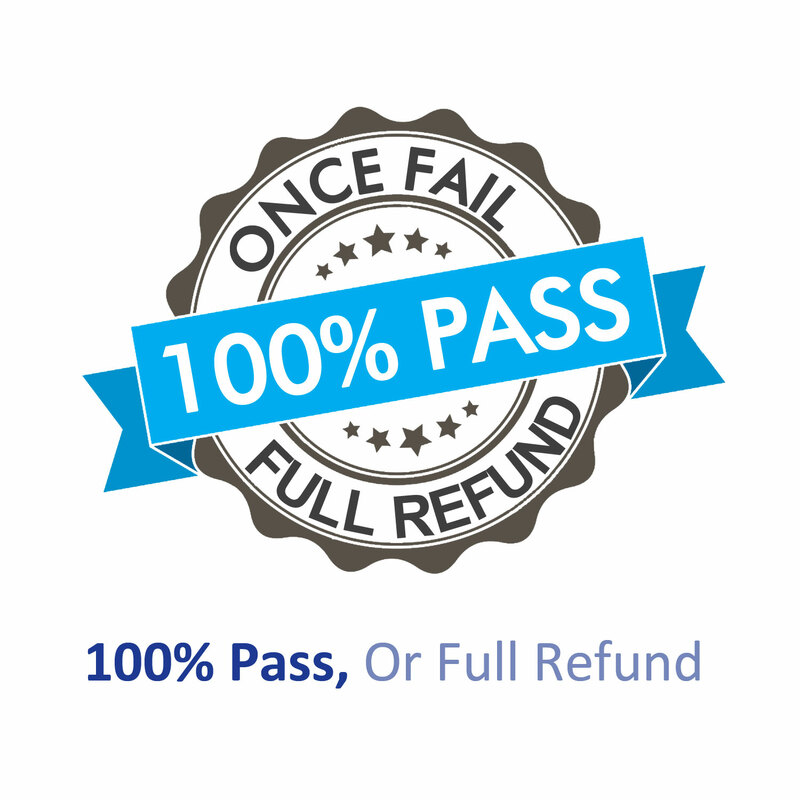 Once failed in 60 days, PassQuestion will give you money Back! As rule of PassQuestion, if you failed in 60 days, you can get full refund. Just scan your exam report to [email protected]. After checked, PassQuestion will refund the full purchase fee to your account. If you use Paypal to finish the payment, we will refund the payment to your Paypal account and you can received the refund at once. If you use credit card to finish the payment, then we will refund from Paypal to your Paypal account. Payapl company then give this refund to your credit card. It will need about 3-4 working days to arrive to your credit card. Your free update has been expired.